The Farmers’ Union of Wales is urging shoppers to keep their Christmas shopping local to show support for rural and local businesses. 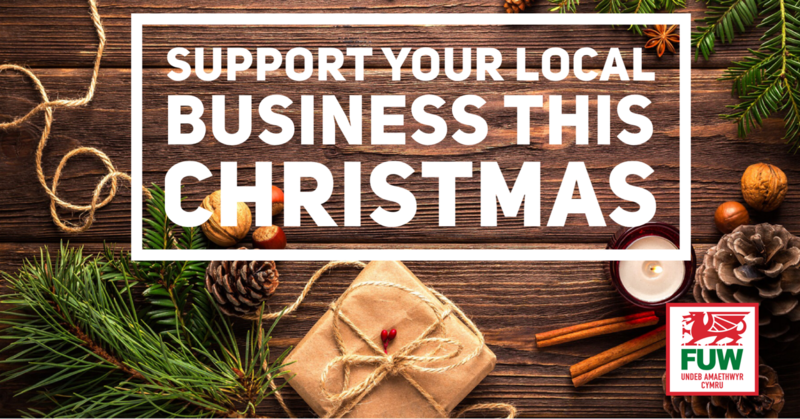 FUW President Glyn Roberts said: “As we speed towards Christmas, I would like to urge you to think about your rural businesses and see if you can buy local, either for the upcoming Christmas dinner or even gifts for family and friends. “Speak to your local butcher about meat for the Christmas period and see what your local farm shop has to offer - I promise you will find many of the ingredients you need for your Christmas dinner right on your doorstep. “There are also plenty of small shops around that offer Welsh craft and locally designed gifts and of course the choice for local food gifts is aplenty. It really is worth having a look. These are small decisions we can make that will have a big impact on our rural economy.